I wake with no commitments. No emergencies. Our rather new furnace holds up in the midst of another cold snap. I hope the homeless have found refuge—a habit from years of our firstborn’s disappearances. For a long while now, the voices inside this house call me by name. Except the kittens. I’m “Meow.” Everything is. I’ve not stepped a toe outside the door in two days, other than to plug in and out the Christmas lights on the redbud tree. They’ll come down after my birthday this month. Need some bling for the Big One, you know. Last night after pot roast, carrots, and potatoes, Mel and I confessed we couldn’t imagine our home without the Rascals. I promised him French toast for breakfast—his reward for fetching frozen eggs from the henhouse and plowing snow all day long while I scribbled inside. With joy I submit to winter’s exile. For thirty years a blizzard has never foiled my morning walks on our country roads, no matter how deep the drifts. Upstairs in soft lamplight, I listen to the wind and read the book of Isaiah. Since Christmas, his words in Handel’s Messiah sing in my head as I progress through the chapters. After our greatest loss, I couldn’t find comfort, no matter where I ran and walked. My Bible gathered dust. Yes, God’s grace carried moments of peace and purpose in blessed relief; yet, there is no shortcut through the valley of the shadow of death. Now on the other side, I’m learning to rest and renew my strength. I’ll never mount up on eagle’s wings as I did as a youth, and I hope to never run a mile again in my life. Yet, after a set of stretches to rid myself of sciatica pain, I walk downstairs into the kitchen. “Are you hungry for French toast?” I ask Mel. He watches while I crack several eggs into a shallow baking pan and stir in buttermilk, cinnamon, nutmeg, ginger, lavender buds, and a double portion of vanilla extract. 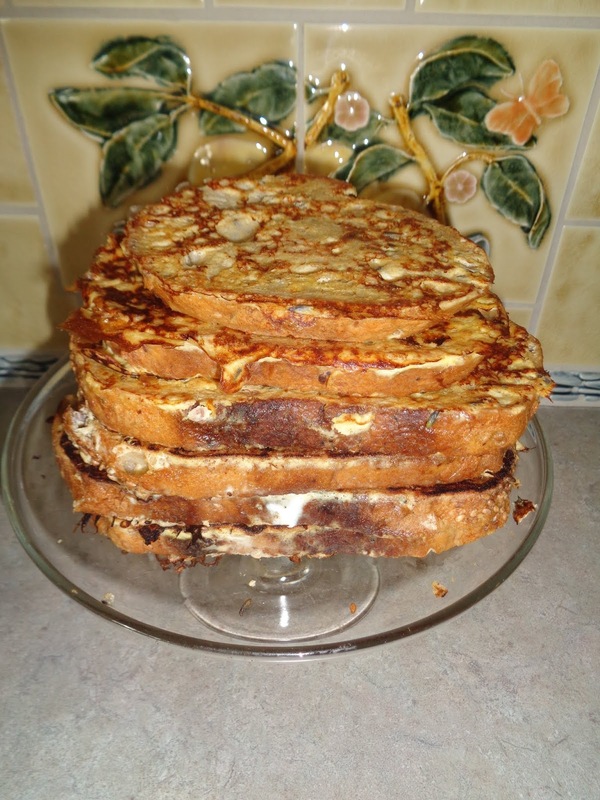 The buttered griddle browns eight slices of sourdough bread sopped with batter. The scent is reminiscent of my childhood. My children's childhood. We finish them off with warm maple syrup and wipe off the counter by 10 a.m.
“Nothing like comfort food for breakfast, is there?” I ask. He goes his way. I go mine. Comfort ye, comfort ye my people, Isaiah says.